SMART ASIA India Expo and Summit 2018, the second edition and the largest smart cities event in Southern India came to a close on 6th October 2018. The summit just in its second edition received not just active participation from Indian companies and government bodies but also overwhelming response from various cities in Taiwan. The sheer number of visitors stood testament to the success of the summit. The expo had over 1,500 visitors and 50 exhibitors and delegates from Taiwan and India to discuss various topics like smart technological innovations, smart energy management, and green mobility among others, for a better tomorrow. This knowledge partnership between India and Taiwan resulted in successful creation of trade opportunities and industry collaboration. SMART ASIA India Expo and Summit 2018 reflected the rising need to create an integrated approach for constructing smart cities. Honorable Chief Minister of Karnataka H. D. Kumaraswamy who inaugurated the exhibition resounded the sentiment of building sustainable cities. This message was reiterated by Union Minister, Mr. Giriraj Singh who visited the expo on its second day where he mentioned that innovations in the smart technology sector can give our country a boost in becoming sustainable. Another exhibitor at the show Kevin Cheng, Vice President, H.P.B. Co., Ltd., indicated how Smart Asia Expo helped them initiate talks with at least 10 system integrators in India who are interested in their healthcare and monitoring solutions. This shows how Smart Asia Expo is becoming a platform, where Indian and Taiwanese companies can produce business opportunities and work towards creating a better tomorrow. Ms Padma Priya J, Director Smart Cities, Grant Thornton India LLP and advisory to digital India Program is also expressed her interest in Avision’s , Taiwan based company’s, E-Government Solutions. Some of the key exhibitors at the event were D-Link, Taiwan Tourism Bureau, YPCloud, Good Will, Technogreen amongst many others. The expo also saw various sessions and panels like Effective Bilateral Market Collaborations for India’s 100 Smart cities mission, opportunities, developments, future trends in Indian Smart Cities, Smart Cities and technologies, Smart Water management among others. Various industry stalwarts participated in these panels and spoke about the application of cutting edge technologies and solutions to effectively tackle the various challenges that cities face as a result of rapid urbanization and increasing population. 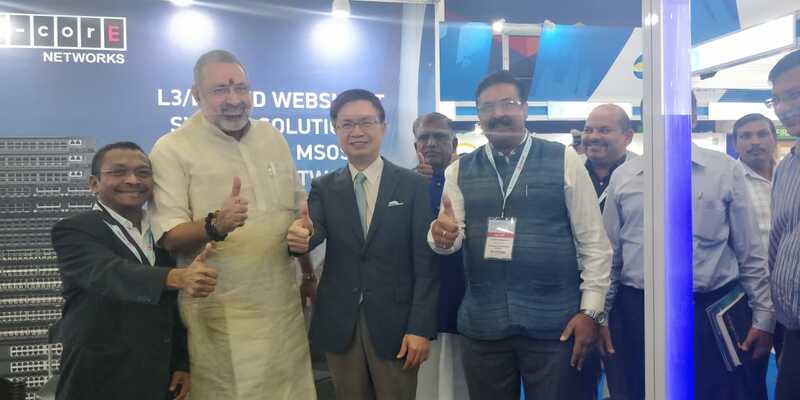 SMART ASIA India Expo and Summit has received a big boost taking cues from Honorable PM Narendra Modi’s initiative of “Make In India” and “Digital India”. SMART ASIA has developed into a perfect platform for generating trade synergies between the two countries.